Any Change Will Take Place on First South Bank Credit Cards? There will Be Change on Fees or Interest Rates? Can I Exchange My Card with First Citizens Bank Credit Card? Can I Apply First Citizens Bank Credit Cards after Sale of First South Bank? First Citizens Bank buy First South Bank recently with $38 million deal. Some credit card users of First South Bank are curious about the situation of credit cards… We are going to explain what will happen to First South Bank Credit Cards on here. Firstly if they even change the name of the bank, nothing will change for you. First Citizens Bank is going to keep your bank accounts in same and there won’t be any change on balances. Besides the rates of your credit card are not going to change. You will go on to use your credit cards with same interest rates and same fees as same as the first day you received the card. So according to laws, you will go on to use your card in same. 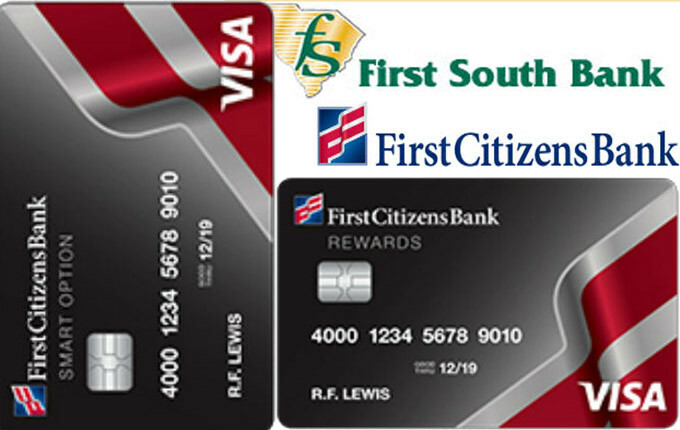 First Citizens Rewards Visa Card is looking quite attractive for consumers. You can highly likely that you will able to apply those two credit cards that we mentioned above, after the sale of First South Bank. However we still recommend you to contact banker of the company before applying those. Have any questions? Feel free to ask us! As we already explained above, there won’t be also any change at debit cards after the sale of First South Bank. Your balance is going to be same and your account is going to be safe. Next articleHow to Apply for Regions Credit Card?